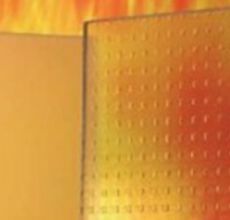 In any building, safety is paramount; which is one of the reasons that demand for fire glass is on the increase. 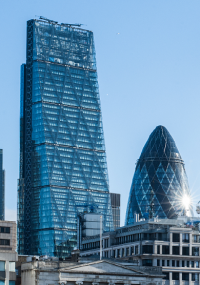 Find out more about about this specialist glass and why it is important to use fire-rated glass in your building. Toughened glass vs laminated glass - which is your favourite? It’s award season in the entertainment calendar and The Favourite has come out on top. At Tufwell Glass we’re often asked which is our favourite, toughened glass or laminated glass? 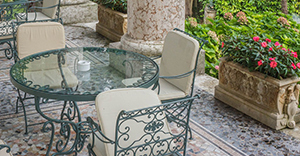 We’re here to help you make a first-class choice of glass product for your home or office. It’s the time of year when the winter blues strike. The New Year buzz is over, spring is weeks away, and the weather is cold and grey. The first Monday in February is when more workers take an unofficial holiday than any other time in the year, so why not inspire your workers by transforming your office space with bespoke glass from Tufwell Glass. Made-to-measure contemporary glass furniture can add a touch of class and style to your home or office. Whether it’s elegant glass shelving or a magnificent glass table, these individual pieces can be customised to your specifications in finish, size, colour and style. Go on, treat yourself this Christmas. As we approach Christmas, retailers up and down the country are unveiling spectacular window displays. From food and fashion to gifts galore, these glittering sights can all be viewed through laminated glass shop fronts. Read on to find out why laminated glass is popular in both commercial and domestic settings. When people think of painted glass they usually picture grand stained-glass windows in churches or cathedrals. More recently coloured glass – or painted glass – has become increasingly accessible, affordable and popular in all types of buildings. 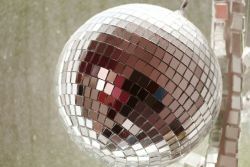 It’s that time of year again when dance fever hits the nation, but you don't have to hang a glitter ball in your home or office to use mirror glass to dazzling effect. With summertime well and truly under way, many of us have been heading to the coast – at home and abroad – to soak up the sun, sand and sea. A commonplace but often unnoticed feature of coastal holidays is the glass balustrade. It’s awards time again at RIBA – the Royal Institute of British Architects – and glass featured prominently in the winning designs. But you don't have to be a RIBA winner to benefit from smart glass in your home or office. 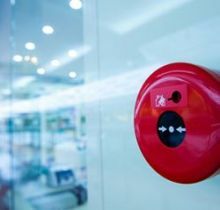 With fire safety and compliance featuring heavily in the headlines this month, Tufwell considers the benefits of fire-rated glass and how it can help protect your business as part of an integrated fire safety strategy. The bathroom is arguably the most important room and sprucing up a bathroom need not be costly or disruptive with the installation of glass splashbacks. 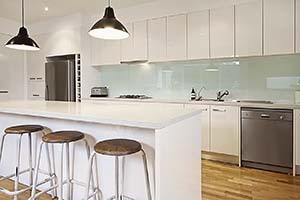 Glass splashbacks are a relatively new development in interior design but have fast become a popular choice with those wanting to combine style with practicality. Glass manufacturing: the future is glass! Glass is back! After decades of quiet mornings, the milk float could soon again be clinking along our streets delivering milk in glass bottles to our doorsteps. Whilst the glass milk bottle has stood empty, glass technology has evolved to inform improvements in glass manufacturing that have led to a wider range of glass products better able to meet customer needs. Spring has officially sprung - an occasion depicted by acclaimed British glass artist Peter Layton in his exceptional series 'Arrival of Spring'. But you don’t have to be a glass art collector to have inspiring shaped glass in your home or workplace. Is your glass tough enough? Toughened, or tempered glass, is one of the most widely used glass products worldwide. 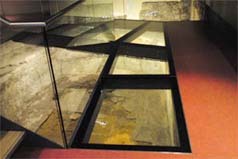 There are many advantages to using toughened glass. 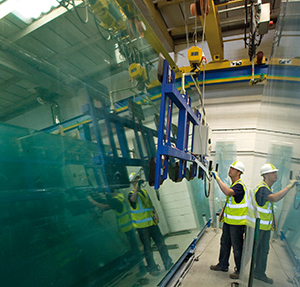 The most important benefit of toughened glass is safety. At the start of the year, the style gurus have been out in force, making their predictions for the office design trends of 2018. The good news is that glass partitions are once again openly lauded for their ability to keep your workplaces on-trend – a stylish solution of choice for modern office design, in three major ways: Adaptability, Collaboration and Wellbeing. Investing in a stylish, contemporary kitchen is a wise choice regardless of the type of home. Whether you’re refitting a spacious, detached family home or a compact city apartment, a bespoke glass splashback will add the finishing touch to your project. Toughened glass is the perfect choice to enhance your stairs. Tufwell Glass offers toughened glass cut to size for all your stair projects. Find out more in our blog. 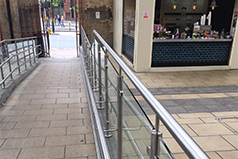 Leicester train station has undergone an extensive revamp in recent months, including a stylish and contemporary glass balustrade system supplied by Tufwell. 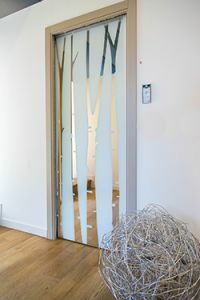 The days of being restricted to wired glass for fire doors is long gone. Tufwell has all you need to know about today’s fire glass door design possibilities. Laminated glass is one of the world’s most widely used safety glasses, after toughened glass. 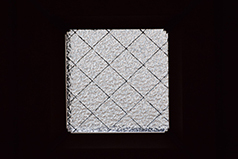 Find out when laminated glass should be specified in our blog.